The community will be straight ahead with the models on the right. Looking for a new home in Herndon, VA? Visit MetroPark at Arrowbrook, Fairfax County’s top-selling new community. Just 0.5 miles from the future Innovation Metro, this oasis features a dog park, tennis courts, rec fields & more. These townhomes for sale include 4th level lofts with rooftop terraces or 2-level condos. Only a few townhomes remain! Call (866) 885-1744 today to schedule your tour. The life you want to live is waiting for you at MetroPark at Arrowbrook. Explore this community and see for yourself. The versatile 2-level Lafayette welcomes guests into the main-level with an open design and satisfies with its 3 bedrooms and 2.5 baths. The spacious two-level Saratoga condo features an open concept main level and 3 bedrooms plus a sitting area on the second level. The Dyerton townhome features up to 2,227 sq. ft. & includes up to 4 bedrooms & 4 baths. Rooftop terrace & 4th level loft included! Spend your Saturday playing tennis at Arrowbrook Centre Park or visiting onsite retail. Take your pup to the dog park onsite. Enjoy dinner and drinks at popular Reston Town Center less than 10 minutes away or head into D.C. on the Silver Line to explore. MetroPark at Arrowbrook eases the pain of the daily commute with its quick access to the Dulles Toll Road and walkability to the future Innovation Metro. Herndon, VA is located 22 miles outside of Washington, DC and is part of the Dulles Technology Corridor. Residents of Herndon enjoy the pace of suburban life but reap the benefits of major employment hubs like Reston, Tysons Corner, and DC. 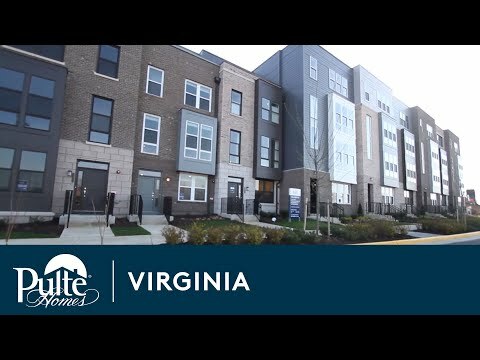 Our newest luxury townhome and two-level condo community in Herndon is now offering up to $7,500 towards closing costs for a limited time.